This property, once featured in the German travel guide for Costa Rica, is ideal for tourism, eco-tourism, residential development or a private paradise. 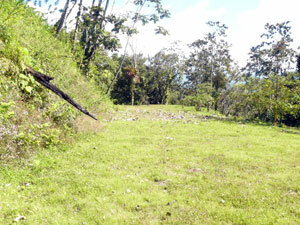 It is located on the north side of the lake between Arenal Volcano and the town of Nuevo Arenal. A paved driveway climbs briefly from the tourism-heavy lake highway into the jungled setting. Three captivating cabins - rustic in appearance but with new and modern appointments- are distributed in the forested lower 6 acres of the nearly 10-acre property along with an entertainment rancho, a large cleared building site for a full-size home above the cabins, and a substantial chicken coop. The 4+ acres above the cabin development are only partly wooded and have broad unrestricted vistas of the lake and some views of Arenal Volcano. The property has been legally segregated into the 6+ -acre heavily forested lower section, and three parcels of about 1.25 acres each in the upper section. Thus a buyer could decide which of these four parcels to keep and which to sell, if any. In addition to the original forest, the owner enriched the area with many plants and trees that do even more to attract many varieties of birds as well as monkeys, sloths and other wildlife. 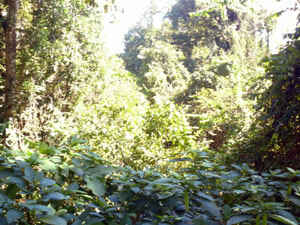 There are 28 varieties of fruit trees and a small teak forest for future harvest. 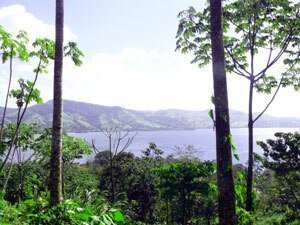 The large building site above the 3 cabins has this as well as other vistas of Lake Arenal. 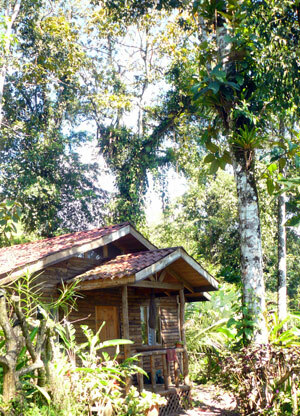 On this beautiful site (see other photo of it below) a new owner could build a beautiful home while also maintaining an eco-tourism business in the cabins in the forested acres below. Further, the volcano-view parcels above, already legally segregated, could be sold or further developed. 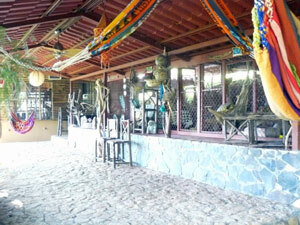 The property has electricity, water, telephone lines, and Internet. There are streams on both the north and south boundaries of the property. The concrete entrance drive from the lake highway quickly disappears into the forestedacreage where the cabins and communal rancho are located. 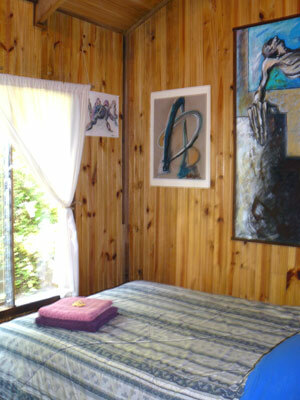 the cabins each have two bedrooms, a bathroom, kitchen and living room with modern appliances and rustic furniture. 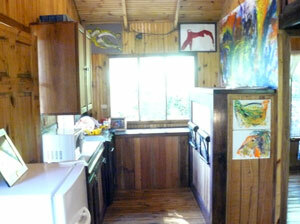 The kitchen has quite a lot of counter and cupboard space and modern appliances. 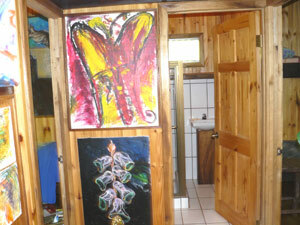 The design includes this area where 3 doors lead to the 2 bedrooms and the bathroom. 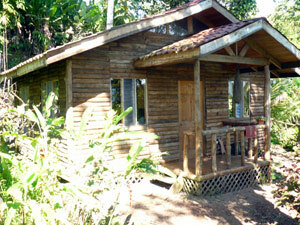 The large rancho or entertainment area leads to one of the cabins. 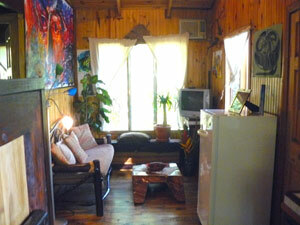 The living rooms are small but comfortable with native hardwood furniture. 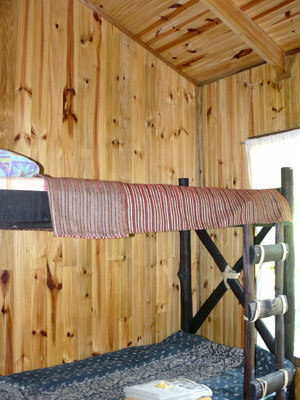 Tall old-growth indigenous trees provide a special atmosphere to cabin residents. 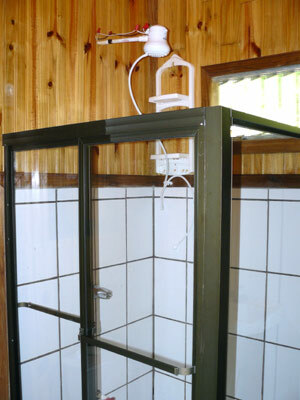 Inside the cabins are nicely designed modern showers. One of the bedrooms has a queen-size bed while the other has bunk beds. 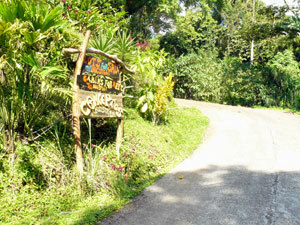 Thick forest, rich with wildlife is close at hand while Lake Arenal provides beautiful distant vistas. To the west as well as the east the property is bordered by year-round streams. The property has its own water source and a 5,000-gallon water tank with a purification system. Ready for a large structure is this building site above the cabins. 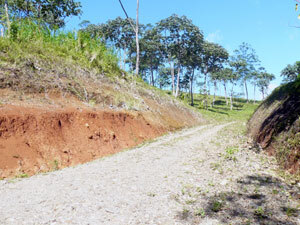 A road continues past the building site to the top of the hillsand the volcano-view lots. 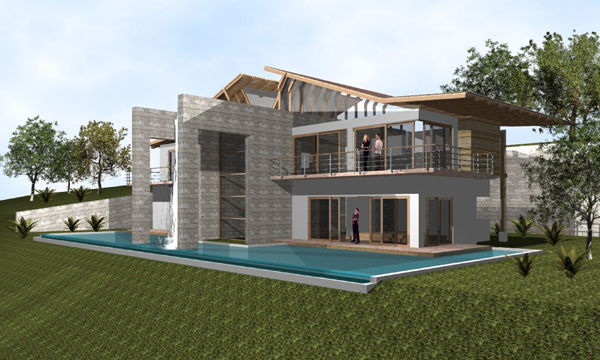 The owners have the AutoCad and architectural drawings for this house and another somewhat grander house and will include them in the sale of the whole property, thus saving the buyer considerable money during further development. 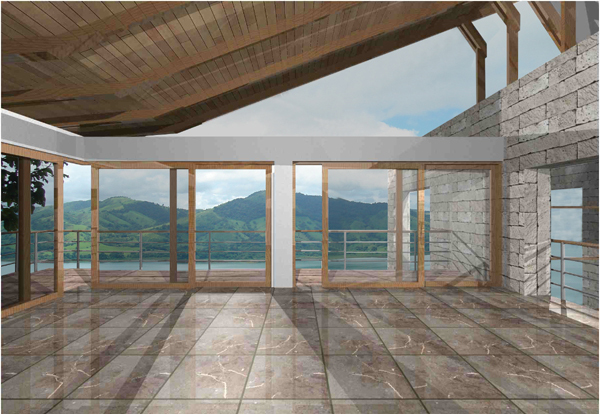 This rendering imagines the lake view from the second floor of the home. 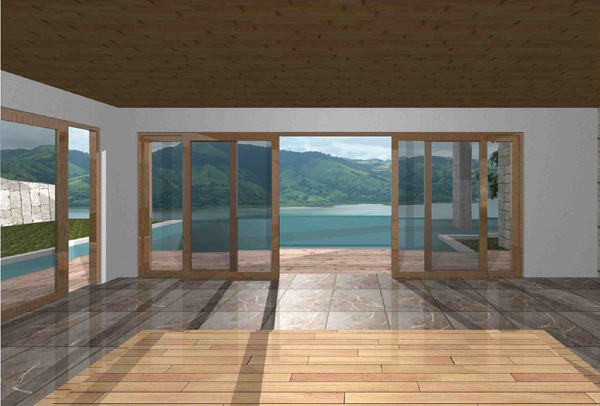 This rendering imagines the view of pool and lake from the first floor of the home.